*Fill-It-Up Ticket Orders Now Closed - Please Contact Leslie Staack with Questions. 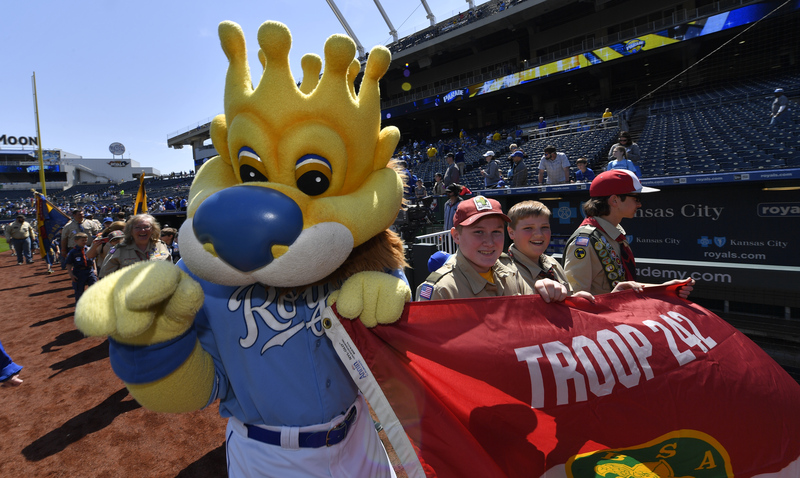 Join more than 10,000 Scouts and their families at Scout Day at the K on Sunday, April 28 where your Kansas City Royals will battle the Los Angeles Angels in an early season American League showdown. More than just a ticket to the game, all Scout Day at the K ticket holders will receive exclusive pre-game access to the “Little K” as well as opportunities to enjoy pre-game extras like our Scout parade and special in-game Scout experiences. And be sure to wear your uniform for your chance to appear on Crown Vision! Pre Game Activities: All Scout Day ticket holders will receive VIP access to our interactive pre-game activity area inside Kauffman Stadium. Located in the outfield concourse area, the Outfield Experience will include activities like Sluggerrr's Mini Golf, Base Run, Batting Cage, Pitching Mound, Little K, Hall of Fame, and much more. All Scout Day ticket holders will have exclusive access to select Outfield Experience activities from 9:30 am - 11:30 am. *Scouts must purchase "tokens" from the Kansas City Royals to participate in Outfield Experience activities after 11:30 am. 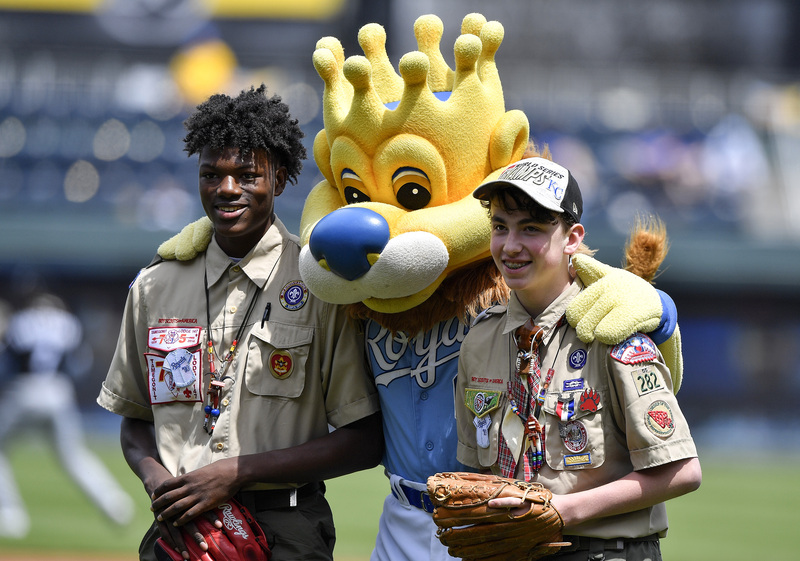 Giving back is a major part of the Scouting program and this year’s Scout Day at the K will once again help feed the hungry in Kansas City. 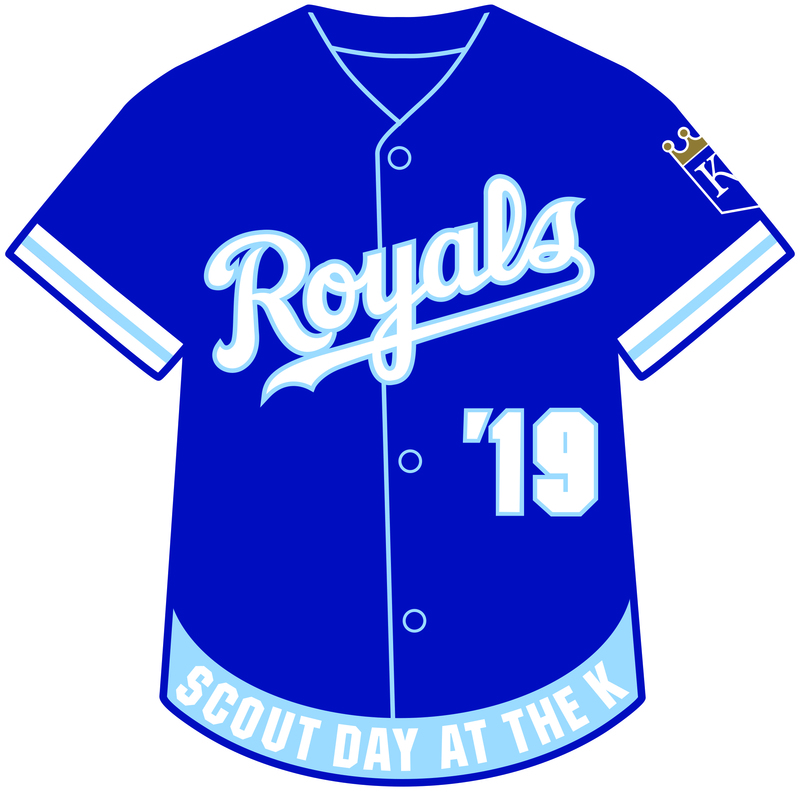 The first 5,000 Scouts who bring a canned food item for Harvesters to the game will receive the official 2019 Scout Day at the K patch.